SAN DIEGO — The San Diego Maritime Institute — located at 1310 Rosecrans St. — has been housed in the same building for decades, providing boaters with Coast Guard-approved courses and instruction. Prior to its move to its current location, the school, which was founded by San Diego native Frank Gaines, began in a two-room facility at Kona Kai Marina. Since its early inception, San Diego Maritime Institute has developed into a accredited school offering an Associate of Applied Science in Marine Transportation degree and more than 40 Coast Guard-approved marine education courses. Laragione, along with his wife, Kathy, bought the institute from Gaines in 1996 following his decision to retire. Laragione currently holds a 100-ton Coast Guard Master’s license and a 500-ton Mate’s license. 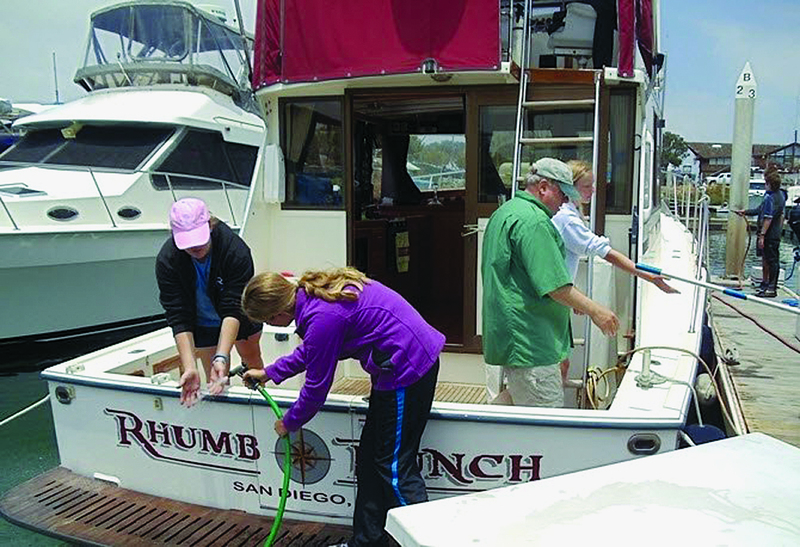 The institute will celebrate its 35th anniversary with a barbecue and party Jan. 14, 2012, and San Diego Maritime Institute supporters will be invited to join in the fun. The school offers classes at its Rosecrans Street location and online, and it is working on an international program with sailing schools in Taiwan and China. “We’re doing that to form international relationships between the schools,” Laragione said. Additionally, the institute has mobile instructor teams that can be dispatched at any time, to any destination in the nation. Since its creation, San Diego’s Maritime Institute has graduated more than 15,000 captains nationwide. For more information, call (888) 262-8020 or visit maritimeinstitute.com.